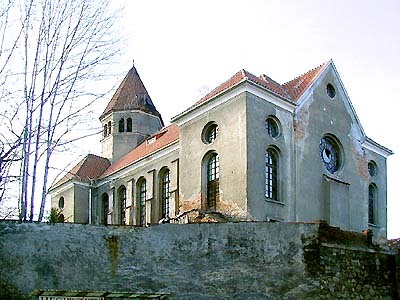 The synagogue with its eight sided tower and decorations in Romanesque Revival style was built in the south suburb called Plešivec in Linecká street. It was designed by architect Kafka and built by builder Sosna. In 1945 it was used as an interconfessional Christian church for the American soldiers. A symbol of the U.S. Army preserved on a wall of the prayer hall still serves as a reminder of this. 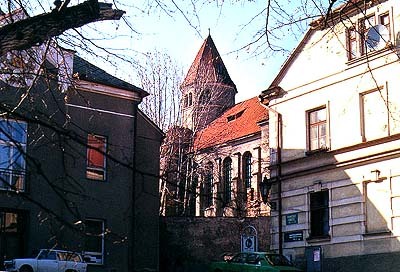 From 1945 - 1968 the synagogue was used by the Czechoslovakia Hussite Church.